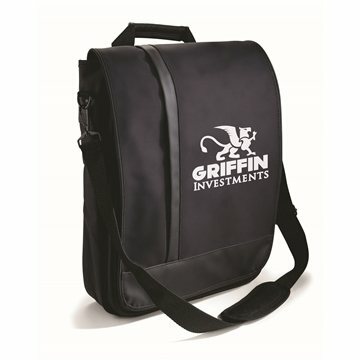 Streamlined brief-pack with laptop compartment. Dual padded, adjustable/removable shoulder straps hidden in back panel of bag. So pleased with what was recieved. the quality of the product is great! the product were beautifully embossed. Logo was printed large enough good job! I like the ease of ordering and prompt response my sales rep always give me. the selection of colors seemed to be great. Wonderful imprinting. This product was a hit with our staff and clients!